Paging systems benefit businesses by providing better internal communications, general notifications and emergency alerts. Both analog and IP paging solutions are available. The versatility of devices like door phones, entry phones and intercoms makes them ideal for any kind of communications and security strategy. In retail spaces, paging speakers serve as dual-purpose solutions for both announcements and background music. Offices and warehouses can pair entry phones and door controllers with locking mechanisms to create keyless entry and intercom systems. Purpose-built devices like emergency phones are also available. 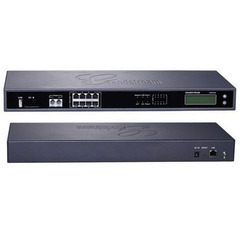 The Grandstream UCM6510 IP PBX appliance is a versatile system for SIP, T1 and analog telephony. Connect up to 50 SIP trunks, a T1 interface or analog lines to the system. Easily migrate from T1 or analog to VoIP, or continue using your existing telephony solution. Enterprise-grade features built into this phone system include multi-level auto attendants, conference bridges, call queues and more. This appliance is simple to install and offers reliable performance. 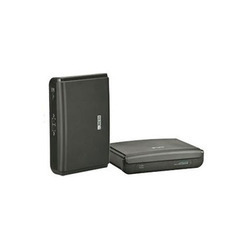 Use the Grandstream UCM6510 with voice, video and data solutions. The phone system supports a wide range of voice and video codecs, including wideband audio and high-definition image resolutions. Data is quickly transferred over the system’s onboard Cortex A9 processor, and large DDD3 and Flash memories. Protecting the system and your business' communications are security applications like Fail2ban, Whitelist, Blacklist and instant alerts. Give your SMB or large business a boost with this valuable VoIP solution. 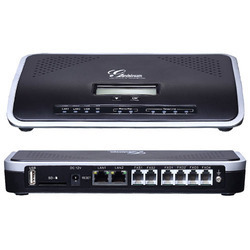 Grandstream UCM6202 is a reliable IP-PBX for small-to-midsize businesses. It supports up to 500 SIP users, controlling 30 audio calls or 25 WebRTC sessions simultaneously. It also supports 3 conference bridges with 25 attendees each. 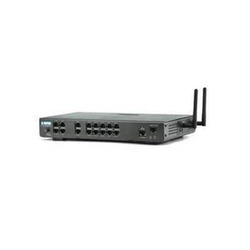 The IP phone system has dual FXO and FXS ports, as well as dual Gigabit Ethernet ports for speedy connectivity. 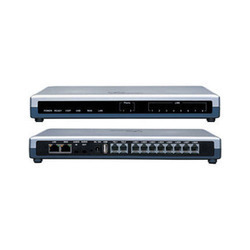 The Ethernet ports can also provide power for the IP-PBX, as it's a PoE+ device. Grandstream UCM6202 brings advanced control in a cost-effective package. With UCM6202, you get support for UC traffic: wideband audio, T.38 fax, H.264 video and much more. Layer 2 and Layer 3 QoS control means you can prioritize the important data like video conferencing streams. 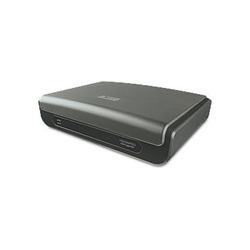 UCM6202 can be wall-mounted or can be installed on the desktop. 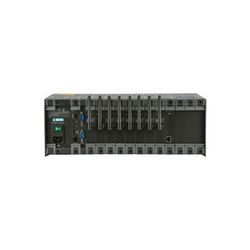 As one of the renowned organizations of this domain, we are engaged in offering the best in class assortment of Matrix VISIONPRO 308 Digital EPABX System that is mainly used for networking purpose. The offered system is manufactured by utilizing high grade raw material and advance technology by our skilled engineers. Apart from this, our range is tested on various parameters in order to ensure its sturdiness and quality. Clients can avail this system from us in different specifications and at affordable prices. 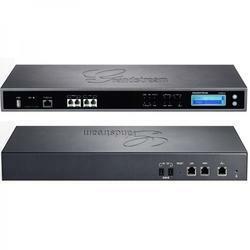 Connect up to 500 SIP endpoints using the Grandstream UCM6204 IP-PBX. This compact VoIP appliance brings enterprise-grade audio, video and data control in a cost-effective and easy-to-use device, which features 2 Gigabit Ethernet, 2 FXS and 4 FXO ports. 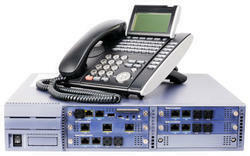 Using the UCM6204, you can centralize all of your business's communications. It supports up to 45 audio calls or 30 WebRTC sessions happening simultaneously, as well as 3 password-protected conference bridges with a maximum of 25 concurrent PSTN or IP participants per bridge. Your communications will be secure, with a combination of SRTP, TLS and HTTPS encryption protecting your data. Grandstream UCM6204 supports the open SIP standard, as well as a broad range of audio, video and fax codecs. Layer 2 and Layer 3 Quality of Service (QoS) functionality allows you to prioritize data to ensure better communication. It is a 802.3at PoE+ device, and comes with a 12V power adapter. It can be mounted on a wall or placed on a desk. 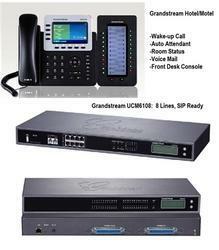 Grandstream UCM6208 is a powerful rack- or wall-mounted IP-PBX for enterprises. With the UCM6208, you can centralize control over 800 individual SIP users. The IP-PBX handles 100 simultaneous audio calls or 45 WebRTC sessions, as well as 6 conference bridges that each support 32 attendees. It has 2 Gigabit Ethernet ports, 2 FXS ports and 8 FXO ports. It's an advanced solution for forward-thinking businesses. 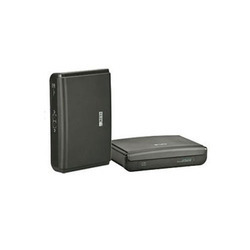 UCM6208 is a PoE+ device that comes with a 12V power adapter. It supports a generous range of codecs for audio, video, data and fax transmission, with full Layer 2 and Layer 3 QoS functionality for data prioritization. SRTP, TLS and HTTPS encryption mean you can rest easy, knowing your data is secure. 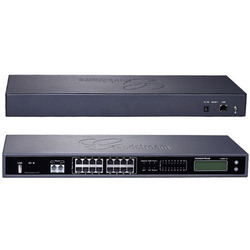 The Grandstream UCM6116 IP PBX is a rack-mountable phone system that does not require licensing for connected SIP endpoints. This system provides enterprise-class data, VoIP and video solutions for small- to medium-sized businesses. Calling features on the Grandstream UCM6116 include support for up to 60 concurrent calls and up to 32 conference participants. Program the built-in IVR to function as a 5-layer auto attendant. 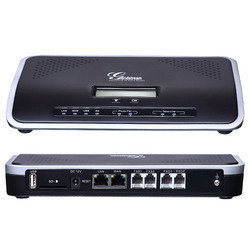 The Grandstream UCM6116 appliance can also record calls for later playback. This affordable PBX is also interoperable with video surveillance systems, giving the user an all-encompassing IP solution. 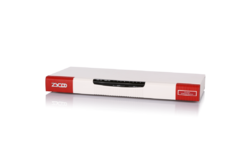 We put forward a broad range of Matrix Comsec IP-PBX Sapex 50 Users Licence that is manufactured in adherence with the set industry standards using advanced technology and optimum quality raw material. Offered product is a pure IP-PBX based on open-standard SIP to establish calls over internet instead of traditional telephony networks. This result into significant cost savings and flexibility to communicate from anywhere using any SIP enabled devices such as IP phone, PC soft phone, Mobile phone or PDA. In tune with industry quality standard, we provide the entire range in various sizes and specifications, as per the requirement of our clients. Our quality controllers perform a series of test on various parameters, in order to ensure the quality of these power savers. Apart from this, clients can avail the entire range from us at industrial leading rates. Our organization has successfully expanded its business in market owing to the offered elevated quality array of Matrix ETERNITY GE12S Scalable GSM/3G to T1/E1 PRI GSM Gateway that is a gateway scalable up to 40 GSM/3G channels. The gateway helps avoiding the interconnections cost by placing calls to mobile numbers over the GSM/3G networks. The offered gateway is manufactured utilizing superior quality raw material and latest technology. Moreover, a team of our quality controllers conducts a series of quality tests on the entire range to seek out any possible defect. In tune with industry standard, we provide the entire range in various customized options and industrial leading prices. Enriched with vast industry experience, we have been able to manufacture and supply a qualitative range of IP PBX . Our devices are engineered as per international industrial standards to ensure better functionality and long service life. Devices offered by us are widely applauded for purpose specific designs and easy installation. Following the exact demands of clients, we provide our IP PBX System various technical specifications. Our competency lies in offering our clients an excellent quality range of Matrix Comsec IP-PBX Sapex SDM Upto 200 Users at the most cost effective prices. Only high quality raw material is used while manufacturing the offered range, for increased compliance with international standards of quality. The offered product is highly appreciated among clients for its high quality and compact design. Apart from this, our range is offered in different specifications and can be customized, as per precise needs of our clients. By keeping track with the market development, we are offering optimum quality Matrix Eternity Ge. It is the advance communication system, offers convenient features and flexible functionalities to large businesses in line with their changing needs. Our offered range is widely appreciated by our prestigious clients its precise design and durability. The offered products can also be availed in various sizes, designs and other related specifications. Our provided product is manufactured by a team of our adept professionals utilizing quality approved raw material and advanced technology. With the facilitation of our immense knowledge, we are engaged in offering superior quality Matrix Eternity Pe. It is a versatile IP-PBX platform based on universal slots architecture offering variety of trunks and extensions. This gateway is designed and manufactured using optimum quality material and advanced technology. In tune with different requirements of our copious clients, we customize the entire range in various sizes and design. Our offered gateway has gained exceptional value amongst our clients for its defined features. We have marked a distinct and dynamic position in the market by providing a high quality array of Matrix Eternity NE 3/4/6. Our offered product is availed in a variety of sizes, designs and other such specifications to choose from. The offered product is precisely designed at our highly advanced manufacturing unit following industry defined guidelines. The offered product can also be availed from us at the industry leading prices. CooVox Series IP Phone System is the most innovative solution for VoIP telecommunication in SMB (Small and Medium-sized Business) market. They provide not only traditional PBX functions such as automated attendant and voicemail, but also offer many advance telephony features, including remote extensions, remote office connection, IVR, call recording, call detail records(CDR)…All of these can serve to greatly enhance business operations with less operation cost. With the companies growing up and expanding, the SMBs not only require a telephony solution that meets their current needs, but also need a good solution which can grow with them. CooVox Series IP Phone System is the best choice.